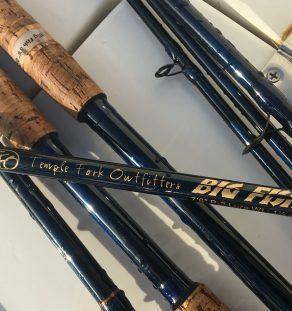 The 3 powers start getting beefy, and come into play where you need to do some serious lifting, stopping or winging and zinging oversized lures. Again, 7 1⁄2 footer for the traveling pcock bass, golden dorado, pike, musky, tarpon, cubera, tuna, roosterfish etc. angler who like to throw lures. Nice, easy to use musky jerkbait rod set up with a little shorter rear handle making it really nimble for putting magic moves on non-mechanical lures.